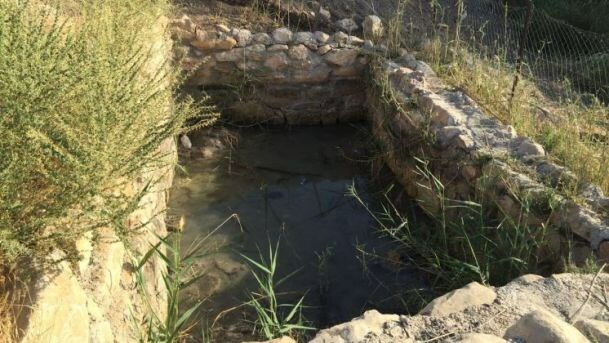 The Israeli occupation army's civil administration intends to destroy a water-holding reservoir that serves 20 Palestinian Bedouin families in a village in the northern Jordan Valley at the pretext of unlicensed construction. This is taking place despite the fact that Israel’s coordinator of government activities in the occupied territories promised representatives of international agencies that there would be no demolitions during the holy month of Ramadan, except for structures built during this time, according to Haaretz newspaper. This simple structure collects water coming out of a natural spring. A rubber hose attached to it runs for a few dozen meters to a plastic tank. The civil administration claims the structure was built illegally. These families, who live in a community called Umm al-Jimal, own 700 sheep and goats as well as 300 cows and some horses. Last year, a flood destroyed another holding reservoir that served the families, and blocked the spring’s exit. The families are concerned that destroying the current pond will once more block the spring, which is their only close water source. A final injunction to demolish the pond was given in April 2012, but was never executed. Last Tuesday, an Israeli inspector posted a notice concerning filing reservations against the demolition order for a 10-meter-square pool of water. At the time, the residents were given three days to present their reservations at the civil administration. However, those days ended and the residents did not know if an attorney from the Palestinian Authority had managed to file an objection in this regard on time, or whether officials would arrive in the coming days to remove the pond. The Israeli army has become in control of 95 percent of the Jordan Valley following the 1967 war, and since then this region has been a closed military zone, where the Palestinians are prohibited to live or build in. Israel's systematic demolition policy in the Jordan Valley aim to force the natives to leave their areas. The Israeli military demolished two homes, an outdoor kitchen and a barn on Saturday in Wadi Jheish and Umm Al-Daraj, in the village of Susiya, in the south Hebron hills. 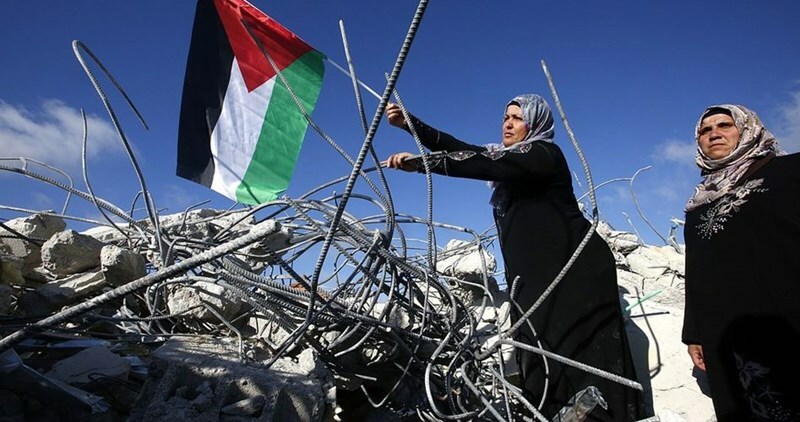 The destruction came despite a pledge by Israeli authorities that they would hold off on destroying Palestinian homes and forcing Palestinian families into homelessness during the Muslim holy month of Ramadan. According to local sources, two armored D9 bulldozers, manufactured by the Caterpillar company in Peoria, Illinois, showed up in the village of Wadi Jheish midday Sunday, and presented the owners of the homes with demolition orders issued by the Israeli military, then proceeded to demolish the homes. ‘Operation Dove’ volunteers were present during the demolition, and tried to stand between the Israeli soldiers and the Palestinian residents. But the soldiers pushed them out of the way and began assaulting the Palestinians who were present, including men, women and children. After destroying the home in Wadi Jheish, the bulldozers proceeded down to Umm al-Daraj, where they destroyed another home, rendering another family homeless. A total of 14 people, including children, were made homeless by the destruction of their homes on Sunday. The demolitions came despite a pledge by the Israeli authorities that they would halt all demolitions during the month of Ramadan, which is taking place throughout the month of June this year. According to Israeli reporter Amira Hass, writing for Ha’aretz, “In 1986 the original village of Susya was declared a national park and its residents were expelled to their adjacent agricultural lands. In 2001 they were expelled again, and the caves and sheds in which they lived were demolished. The High Court of Justice ordered the demolitions stopped and allowed the residents to remain at the site, but did not order the Civil Administration to permit the rebuilding of the homes and animal pens that had been thrown down. As a result, essentially all the structures in Susya are without permits, including the playground, bathrooms, the school building and a visitors’ tent. More than 500 homes and other buildings owned by Palestinians have been destroyed by the Israeli military in the first half of 2016. This is an increase of more than 100% from last year, when 548 Palestinian homes were destroyed during the entire year. The Israeli Occupation Forces (IOF) demolished Sunday an agricultural facility in the village of Susiya in the southern West Bank city of al-Khalil. The local activist Rateb Jabour said that Israeli forces demolished a Palestinian-owned agricultural facility in Susiya village under the pretext of being built without permit. Seven members of Nawajaah family were left homeless after those forces demolished their two-room brick house. 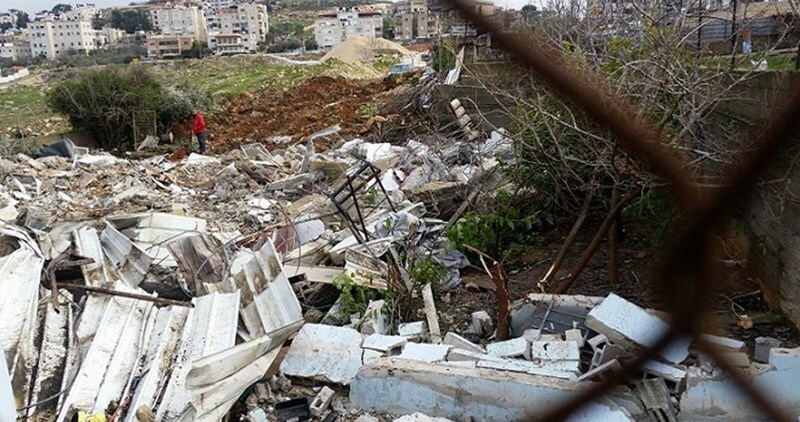 Last week, the IOF carried out large-scale raid and demolition campaign in Yatta town in al-Khalil after imposing a complete closure on the town. 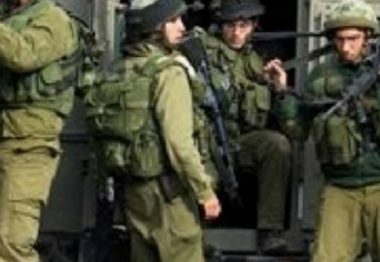 The Israeli occupation forces (IOF) last night and at dawn Sunday kidnapped 14 Palestinians, including two women, during campaigns in different West Bank areas. According to the Palestinian Prisoner Society (PPS), four young men, including a minor, were taken prisoners during raids on homes in areas in Ramallah and Bireh provinces. The detainees were identified as Atta Arhimi, Muaad Abu Samra and the brothers Walid and Baker Tawfiq. In Occupied Jerusalem, Israeli soldiers stormed al-Eizariya town and kidnapped two women identified as Sabah Feraun, a mother of four children, and Shirin al-Bassah from their homes. During their campaign in the town, the occupation troops clashed with angry local young men and showered them with gas grenades before withdrawing from the area. The IOF also carried out dawn raids on homes in Nazlat Isa village, north of Tulkarem, and kidnapped one young man named Obaidah Abdullah. In al-Khalil, the IOF took measurements of a Palestinian house belonging to the family of prisoner Mohamed Makhamreh, who carried out with his cousin a recent shooting attack in Tel Aviv, as a prelude to demolishing it or pouring concrete into its rooms. 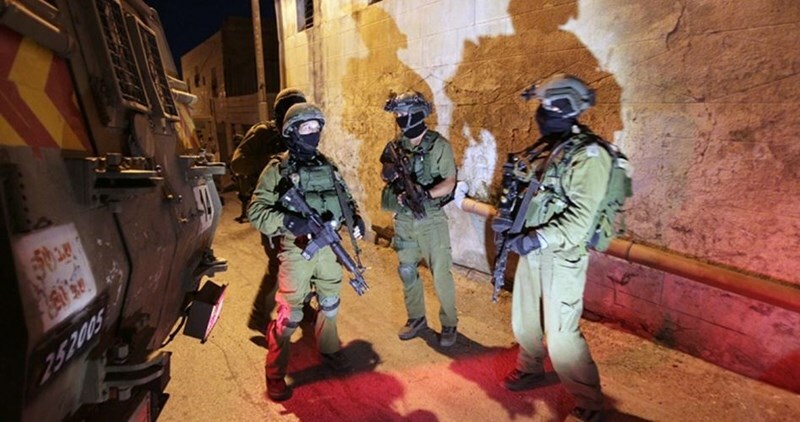 The IOF also ransacked a home in Sa'ir town, north of al-Khalil, and interrogated its residents without making arrests. However, three citizens were taken prisoners during IOF raids on other homes in the same town. Last night, the IOF rounded up three Palestinian young men, including two brothers, at Za'atara checkpoint south of Nablus after they were allegedly found in possession of a weapon inside their vehicle. In addition, another young man identified as Khader Jawdeh, from Aida refugee camp, was kidnapped last night at an Israeli military checkpoint at the western entrance to Beit Jala town, north of Bethlehem. 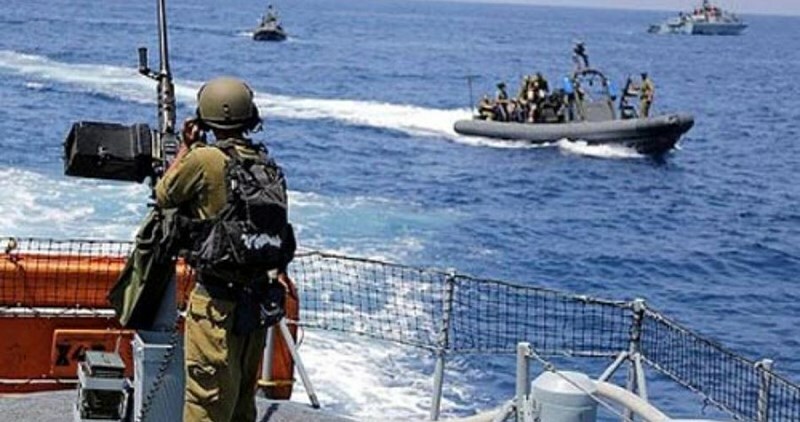 21 Palestinians were kidnapped by the IOF during the last two days, according to the PPS. A number of Palestinian civilians were injured and others were arrested by the Israeli occupation forces (IOF) in an abduction sweep launched across the West Bank at dawn Wednesday. The Israeli occupation army claimed responsibility for the abduction of 12 allegedly wanted Palestinians at the crack of dawn, 11 among whom arrested on allegations of anti-occupation activism. The campaign targeted the West Bank provinces of Nablus, Qalqilya, Ramallah, and Bethlehem. A Palestinian citizen choked on teargas in Qlaqilya during clashes with the IOF in al-Nakar neighborhood. According to a PIC news correspondent, heavily-armed IOF patrols rolled into the area at predawn time and attacked the Palestinians with heavy spates of teargas canisters and stun grenades, resulting in several suffocation cases. The IOF soldiers wreaked havoc on civilian homes before they kidnapped four Palestinians, including the lecturer at the Islamic University Bilal Hanun. Nablus-based sources also said the Palestinian youth Saleh Abu al-Anad sustained injuries in the Balata refugee camp after he was hit by an Israeli patrol jeep. Red Crescent crews who treated the casualty identified the inflicted stomach wounds as critical. The injured youth was later evacuated to the Rafidia hospital for urgent treatment. The IOF kidnapped another youth from the Askar refugee camp shortly after they stormed the area and ravaged civilian homes. Youngster Younes Kuni was also kidnapped from his family home in Kfar Kalil village, to the south Nablus. 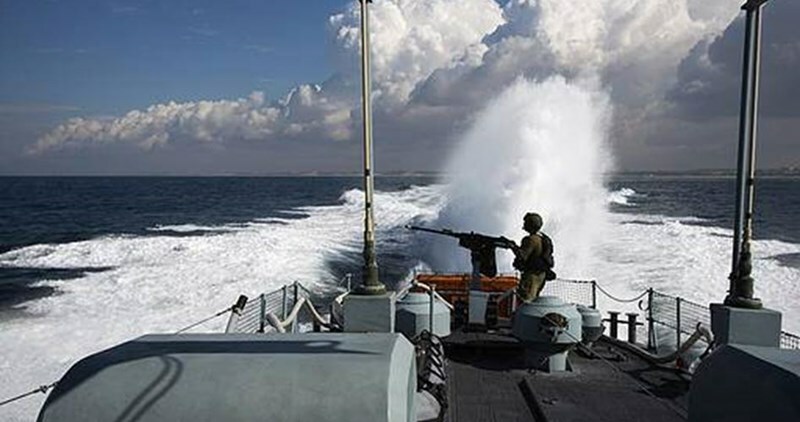 The campaign culminated in the abduction of four Palestinians from the southern West Bank province of al-Khalil. A 12-year-old Palestinian child sustained injuries in his face shortly after the IOF raided Yatta town and showered the area with rubber bullets. 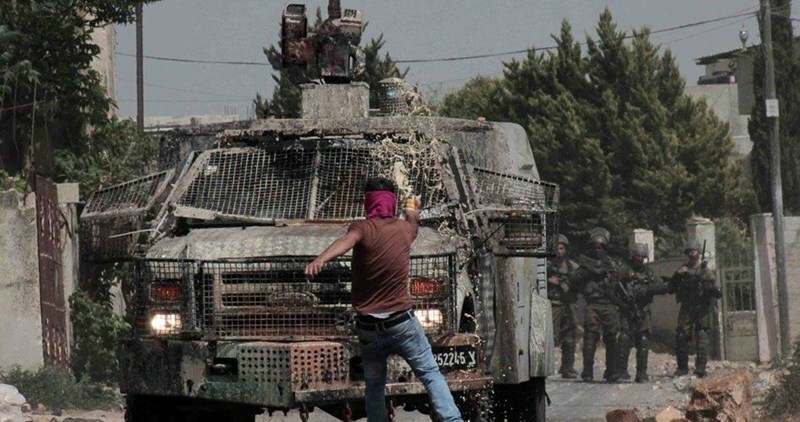 The occupation soldiers in 30 army jeeps further rolled into al-Hila neighborhood, in Yatta, and broke into the home of prisoner Khaled Muhammad Mussa Mukhamreh, who carried out a shooting attack in Tel Aviv on June 8. The IOF notified the projected demolition of the Mukhamreh family home on June 20. The IOF soldiers have been cordoning off Yatta town for over a week’s time as part of a policy of collective punishment against Palestinian anti-occupation youths and their families. Four more Palestinians were kidnapped by the IOF following assaults on Ramallah and Bethlehem provinces. 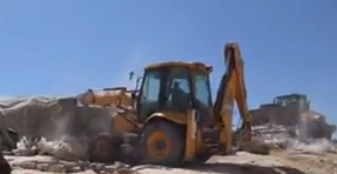 Eyewitnesses affirmed that Israeli bulldozers have leveled Palestinian-owned lands in Deir Estia and Hares town east of the city to expand the illegal Rafafa settlement, where several new housing units were being built. The sources pointed out that the bulldozing has been ongoing secretly for few days in total media blackout. Local activist Khaled Maali said that Israeli settlement construction has been ongoing around the clock in Salfit district. 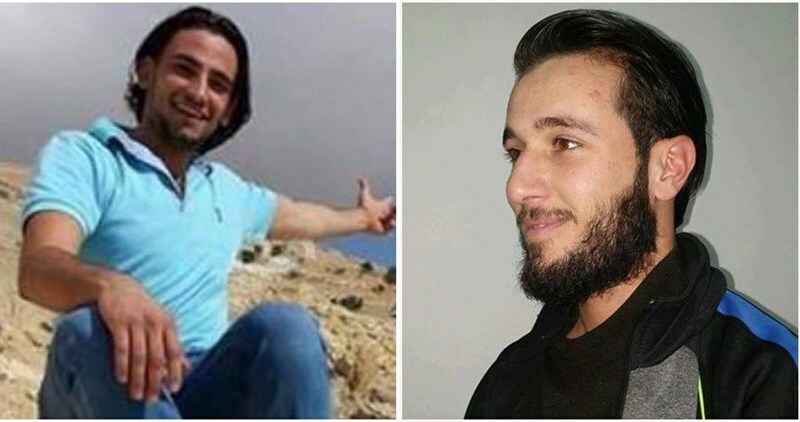 The Israeli occupation army last night notified the families of the two Palestinian young men who carried out the recent Tel Aviv operation of its intention to demolish their homes in Yatta town, south of al-Khalil city. Rateb al-Jabour, coordinator of the popular committee against the wall and settlement, said that the Israeli occupation forces (IOF) tightened the blockade last night on the town and carried out widespread raids on homes and arrests. 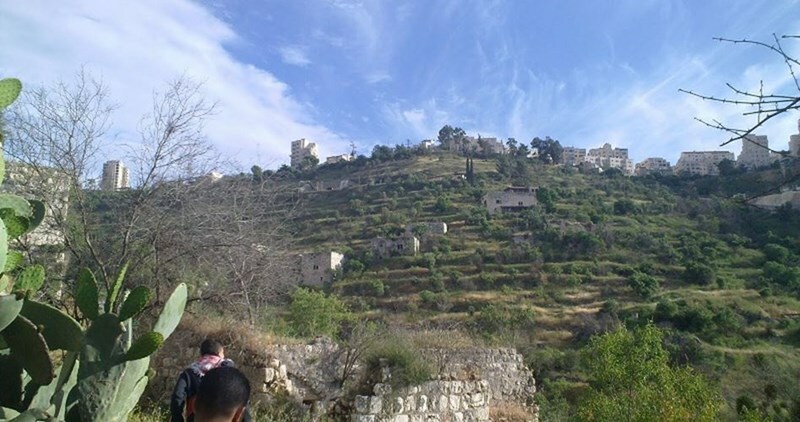 Jabour added that the IOF verbally ordered the families of the two cousins, Mohamed and Khaled Makhamreh, to evacuate their homes as a prelude to demolishing them. However, he did not state when the demolitions would be carried out. The Israeli army has slapped a tight siege on Yatta town in al-Khalil following the Tel Aviv shooting attack, which was carried out last Wednesday by the two cousins. During the last few days, the army went on the rampage through the town, causing damage to property and making arbitrary arrests against citizens. Islamic Resistance Movement, Hamas, said that the Israeli policy of home demolition will not weaken Palestinians’ steadfastness. It stressed that razing the family home of the detained minor Murad Edais at dawn on Saturday in al-Khalil was a war crime. In a statement on Saturday, Hamas’s spokesman Sami Abu Zuhri charged the international community with responsibility for the Israeli violations. He affirmed that the Jerusalem Intifada will last until deterring such crimes. Abu Zuhri expressed his Movement’s appreciation of the position of Yatta’s municipality president who declared offering a house for each family whose home gets demolished by the Israeli occupation forces in the town. The Hamas spokesman also called for supporting the owners of demolished homes.